Opera Fresh: Elizabeth DeShong Returns To SFO For New "Madama Butterfly"
Elizabeth DeShong Returns To SFO For New "Madama Butterfly"
"San Francisco Opera audiences have twice had the opportunity to enjoy the rich mezzo-soprano of Elizabeth DeShong: first in her company debut as the Page in Salome in 2009, and more recently in the trouser role of Maffio Orsini in Lucrezia Borgia in 2011. The native of central Pennsylvania currently lives near her husband’s family in Akron, Ohio, though, like many singers in great demand, most of her year is spent on the road. Currently, she is in town for her third role with SFO, as Suzuki in Madama Butterfly, which she will sing opposite Patricia Racette’s Cio-Cio San June 15–July 9. 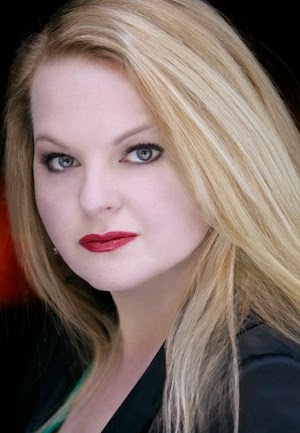 Earlier this year, she sang the role with the Metropolitan Opera, garnering stellar reviews such as this one in The New York Times: 'The mezzo Elizabeth DeShong was outstanding as Butterfly’s servant Suzuki. With her deeply resonant low register, she created a character who is tragically prescient about the unfolding disaster.'" Read the full interview that covers a range of topics including why she identifies as a mezzo-soprano rather than contralto; keeping the flexibility in the voice without getting pegged as a Rossini-only artist; how to avoid focusing on gender in pants roles; an in-depth analysis of Suzuki's character; and if Verdi's Amneris is a role she will take on down the road. [Source] For more about Elizabeth DeShong, click here. 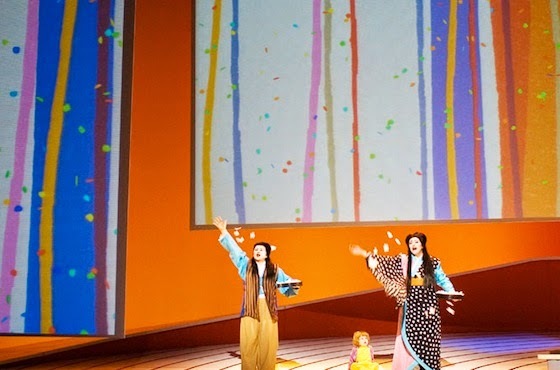 A colorful image of the Jun Kaneko production of Madama Butterfly, that will be performed at the San Francisco Opera, is after the jump.